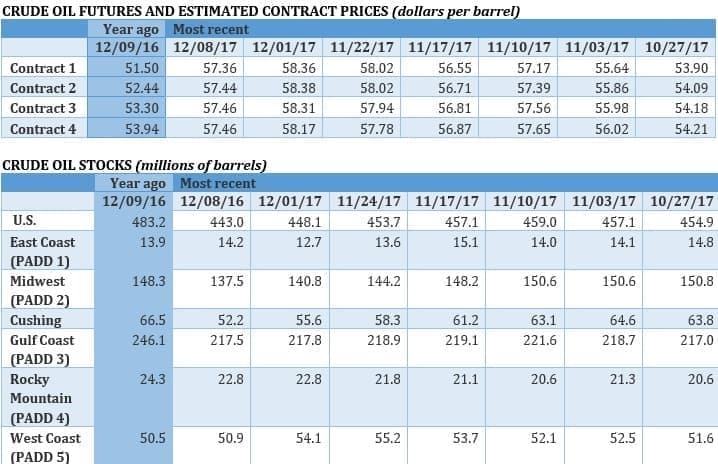 With the IEA's most recent report suggesting a global supply glut may be looming, it seems the oil bulls have retreated and prices have stagnated. Oil prices fell back from their highs earlier this week after the Forties outage, as the IEA dashed hopes of continued bullish momentum when it reported that the global supply surplus could return in 2018. Inventory surplus shrinks. 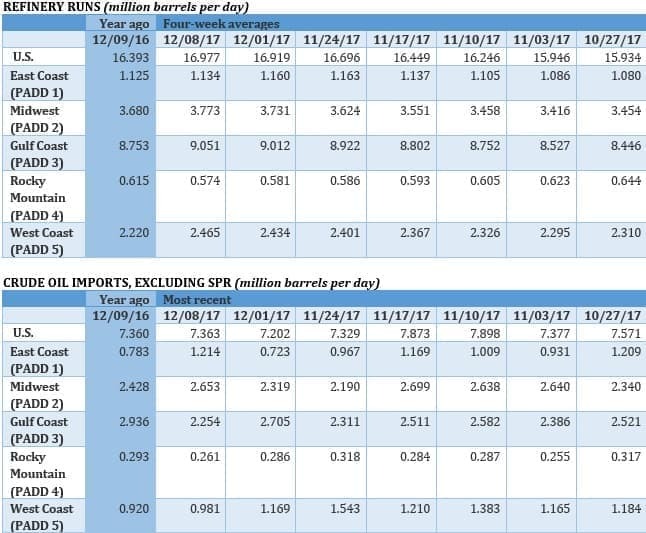 OPEC said that the global surplus in oil inventories dropped to 130 million barrels above the five-year average in November, down sharply from 154 million barrels the month before. “We are beginning to see a return to stable markets,” OPEC Secretary-General Mohammad Barkindo said. “Something that has eluded us for several years.” There are growing expectations that OPEC will need to offer details of an exit strategy at its June 2018 meeting. Global finance curtailing fossil fuel investments. A growing number of large financial institutions have pledged to end their support for fossil fuels. The World Bank said earlier this week that it would no longer finance coal plants beginning in 2019. But other examples continue to pop up. BNP Paribas said in October that it would no longer lend to shale and oil sands projects. Dutch lender ING said it would cut off finance for upstream oil and gas by 2019. French insurer AXA said it would no longer insure oil sands or coal projects. CNPC to take over Iran gas project. 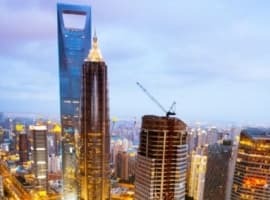 If French oil company Total (NYSE: TOT) exits the giant South Pars natural gas project in Iran due to U.S. sanctions, CNPC is poised to fill the void, according to Reuters. The $1 billion contract that Total signed with Iran included a provision to allow CNPC to take over Total’s stake if the oil company left. CNPC has a 30 percent stake, while Total is the operator with 50.1 percent. 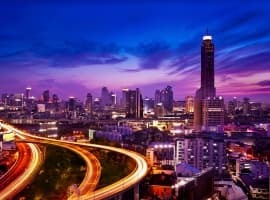 Asian buyers wary of Eagle Ford shale. Bloomberg reports that some Asian refiners that have scooped up crude cargoes from the U.S. are learning that not all barrels from U.S. shale are the same. In fact, at least three Asian refiners that bought oil from the Eagle Ford shale said they wouldn’t follow up with more purchases because of a lack of consistency in quality. Two sources told Bloomberg that the Eagle Ford cargoes had more liquid petroleum gas and naptha than they expected. “Unlike Middle Eastern or West African crudes, which originate from one single large and stable reservoir, shale crudes are often extracted from multiple layers and can originate from different parts of a basin which have varying geological characteristics,” Virendra Chauhan, an analyst at industry consultant Energy Aspects Ltd., told Bloomberg. 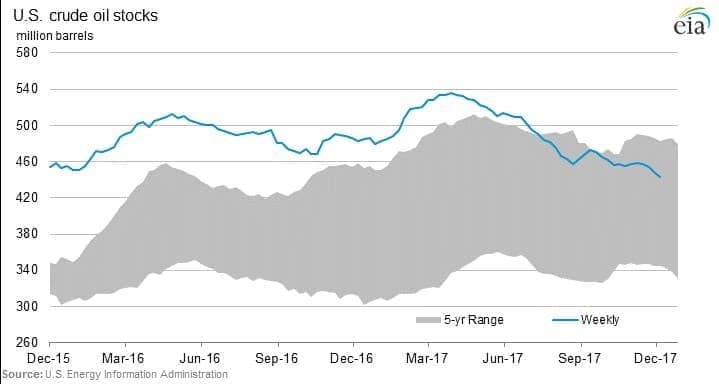 To be sure, U.S. oil exports are not going to drop anytime soon, but large refiners around the world are learning that U.S. shale doesn’t always meet their specifications. Big Finance not shying away from shale. 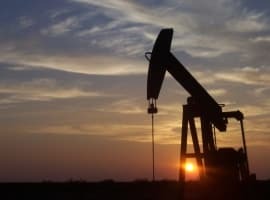 Hedge funds and private equity are pouring money into the shale patch despite a growing chorus of investors demanding higher returns from shale companies, according to Reuters. The pressure from investors raised questions about Wall Street’s commitment to the shale industry, but Reuters says that the flow of money has continued to flood in unabated. Saudi Aramco to regain market share after OPEC deal. Saudi Aramco’s CEO Amin Nasser said that his company would regain lost market share once the OPEC deal expires. “We had to cut our allocations to certain markets based on the (OPEC) agreement ... hopefully we will regain these markets as soon as this deal ends,” he said in a Reuters interview. He also said that Aramco would pursue a large expansion in the downstream sector, with India as one particular place where Aramco wants to expand. GOP tax bill to include renewables, EV tax credits. The tax proposals that worked their way through the U.S. Congress in recent weeks eliminated tax credits for wind, solar and electric vehicles, but as both chambers work to reconcile their differences, the compromise legislation will reportedly leave those tax credits unchanged. That includes the $7,500 rebate for EVs, and the 2.3-cent-per-kilowatt-hour tax credit for wind and solar. Ineos shuts down Scotland refinery on Forties outage. The shutdown of the Forties pipeline system in the North Sea has left the Grangemouth refinery in Scotland without any crude to process. Ineos, which owns both, said that it would shut down the refinery and possibly move up its maintenance schedule. Goldman: Big Oil is back. Goldman Sachs predicts that the oil majors are set for huge gains in 2018 after years of underperforming. The investment bank says they will be flush with cash that will be used to send to shareholders in the form of higher dividends and share buybacks. Plus, consolidation in the industry, combined with the oil majors’ unrivaled ability to pursue risky projects, means that they will stand out. “It’s a very exciting time,” Michele Della Vigna, Goldman’s head of energy industry research, said in an interview with Bloomberg TV. “We’re back to a concentrated market like we had in the 90s,” with the oil majors earning higher returns than their smaller peers, he said. The IEA's report is right and it understates the situation if anything. The experts in oil markets know this. They know there is a huge glut of oil sloshing around the world, and that while OPEC and Russian idling millions of barrels a day of production has cut back the growth in the glut, it has not ended it. Nor will it. As OPEC/Russia, and the entire industry and support industries conspire endlessly to firm up and increase the price of oil, their efforts, despite the glut in supply remaining, has paid off. Which means the U.S. oil industry especially shale oil is surging to new highs, and with the price around $60 it will continue to soar. So even as the Global oil industry play their games they are rapidly seeing the huge capacity they have idled being replaced by production in the USA and elsewhere. How, ever more capacity needing to be idled, OPEC losing market share rapidly, and increased production in the USA and other countries adds up to higher oil prices is only something you can find in the minds of the oil industries and those that support it as they strive to keep their profits high by pushing the price of oil up for no reason than they are able to control the perception that they've limited the supply. 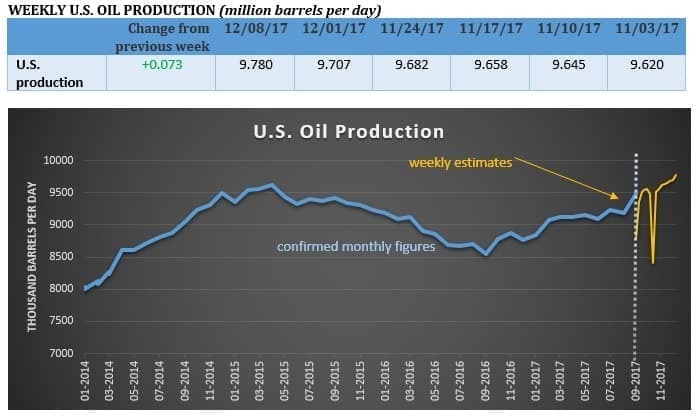 I suppose we should be thankful that the USA can benefit from this boom as we pump out less and less scarce oil reserves at a good price while OPEC and Russia keep their in the ground for the future when prices will be much lower no matter what they do because supply remains plentiful and renewables are growing. Let's hope they can keep this game going, because its good for the USA. IEA should be investigated by an independent entity. 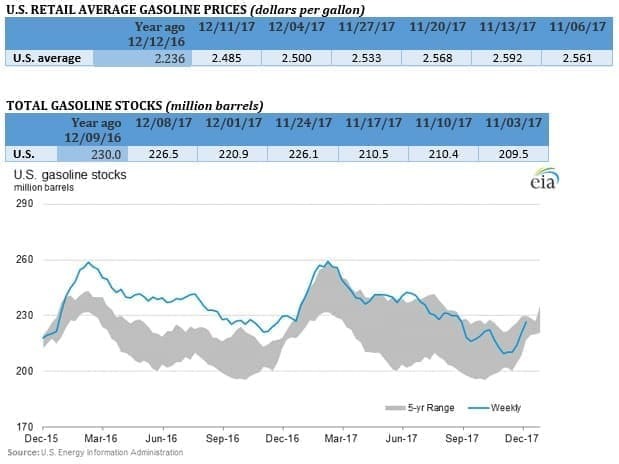 With crude inventories at multi-year lows and global demand growing 1.5 bpd a year I'm wondering what statistical foundations justify IEA's estimates. US produce more oil as a result of a growing demand and shrinking production elsewhere. If that wasn't the case, oil price today would be above USD 120 by now.